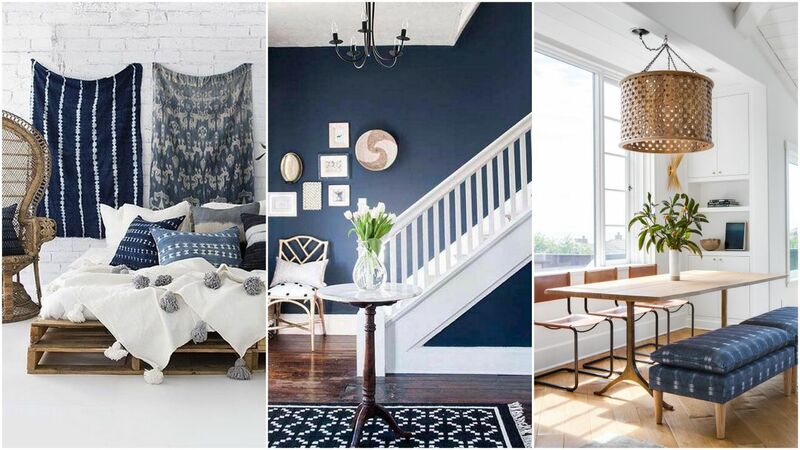 A	dark	blue	that	is	more	robust	than	navy	with	touches	of	purple,	Indigo	has	been	popular for	centuries.The impact of indigo varies on how it is used; as a wall color it can create a moody atmosphere while as an accent it can be uplifting. It	is	his	versatility	and	adaptability	of Indigo	that	has	made	it	one	of	the	most	celebrated	home	decor	colours	since	centuries. Here is	everything	that	you	need	to	know	about	decorating	with	this	timeless	colour. 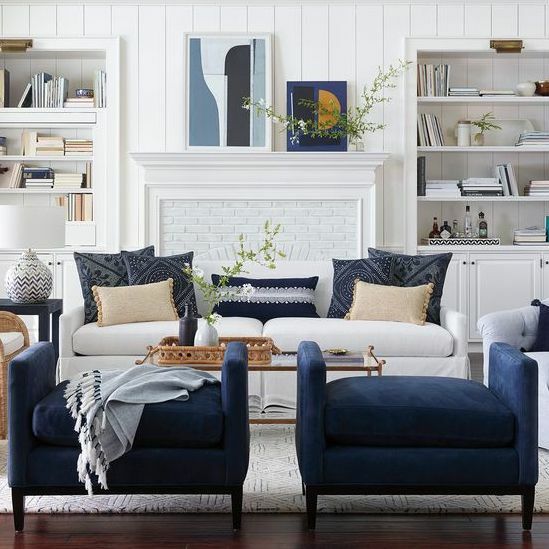 Few	color	combinations	rival	timeless	Indigo	and	White. The	classic	palette	has	stood	the test	of	time	and	history	in	decorating,	from Chinese	Porcelain	to	Blue	Pottery	to	chic	Cabana Stripes. Whether	you	are	looking	to	create	a	coastal,	traditional or	global	look,	this combination	always	feels	fresh	and	looks	effortlessly	stylish. Indigo	and	red	go	together	like	peanut	butter	and	jelly;	they	are	both	great	on	their	own	but when	put	together,	something	magical	happens! The	warmth	of	red	beautifully	juxtaposes the	cooling	and	refreshing	vibes	of	Indigo,	thus	giving	you	a	space	that	is	full	of	playful drama. 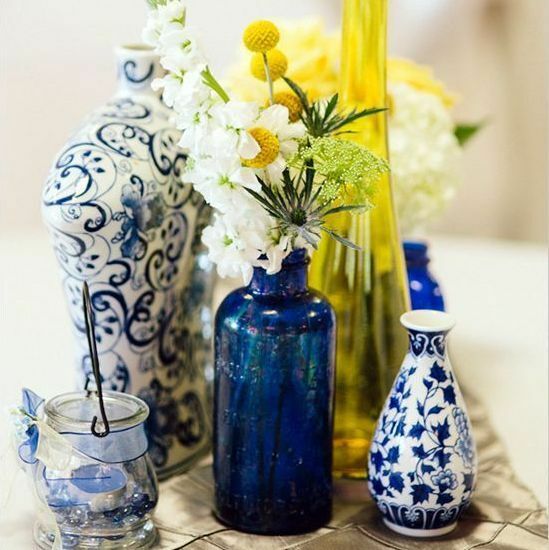 Just	like	sunshine,	yellow	adds	sparkle	and	energy	to	Indigo	and	together	they	can	transform the	look	of	any	space	into	a	striking	visual, right	out	of	a	French	country	home. For	an exotic and	elegantly	mysterious twist,	pair	the	complimentary	Orange	and	Indigo hues together. 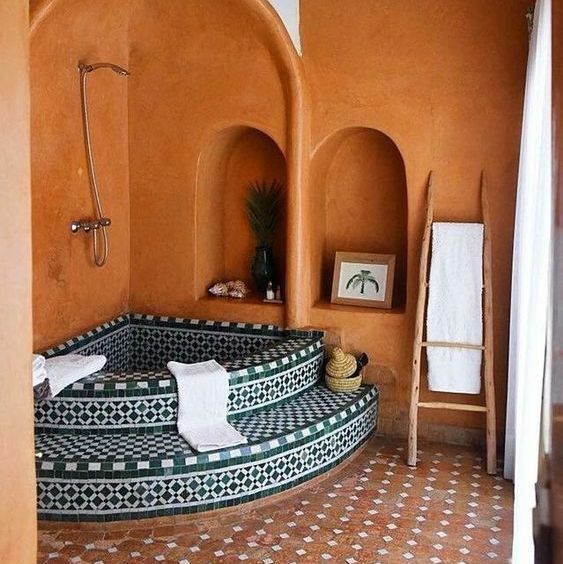 It	is	the	right	combination	of	colours	if	you	want	to	infuse	some	Moroccan style	to	your	spaces. Enrich	Indigo	base	by	combining	it	with	comparable	shades	like	turquoise,	royal	blue	or azure	to	highlight	and	bring	onboard	the	calming	effects	of	the	blue	family. Indigo	works incredibly	well	with	every	other	shade	of	blue. 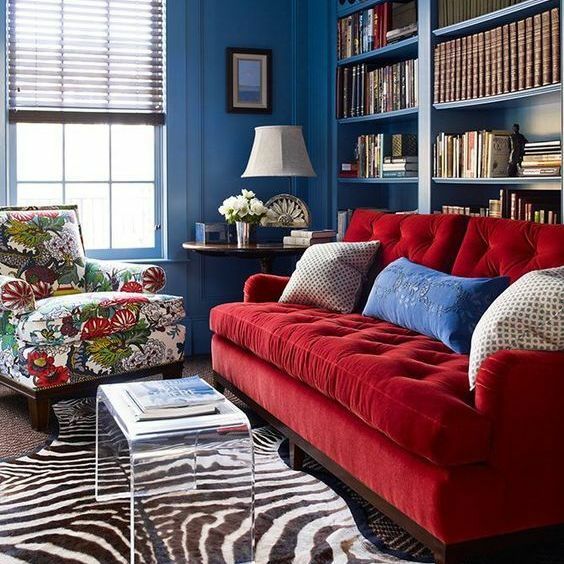 • Opt	for	Indigo	on	walls	in rooms that	are meant	to	be	cozy	such	as	a library or	personal den. 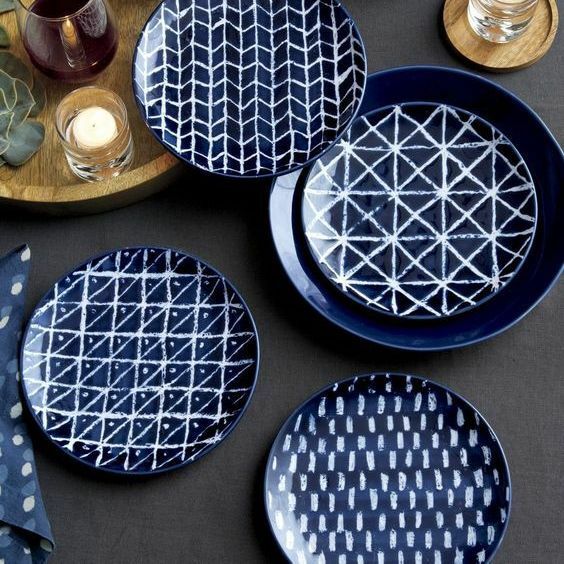 • Indigo	also	fits	perfectly in	a	boho	style	décor	alongside	gold,	metallic	and	bronze accents. If	you	adore	a	casual	vibe	then	combine	this	shade	with	earthy	embellishments and	give	an	electric,	global	traveler	look	to	your	room. • It	is	a	glorious	shade	to	use	if	you	want	a	sea	inspired	look. • Indigo	makes	an	extraordinary	gallery	style	setting	as	it	enables	designs	and	hues	to	truly stand	out. • Mix	Indigo	with	soft	colors	for	a	classic	look	and	bright	colors	for	a	modern	look. • Indigo	can	be	warm	and	rich	so	don’t get	caught	up	in	the	idea	that	blue	is	a	cool	color. 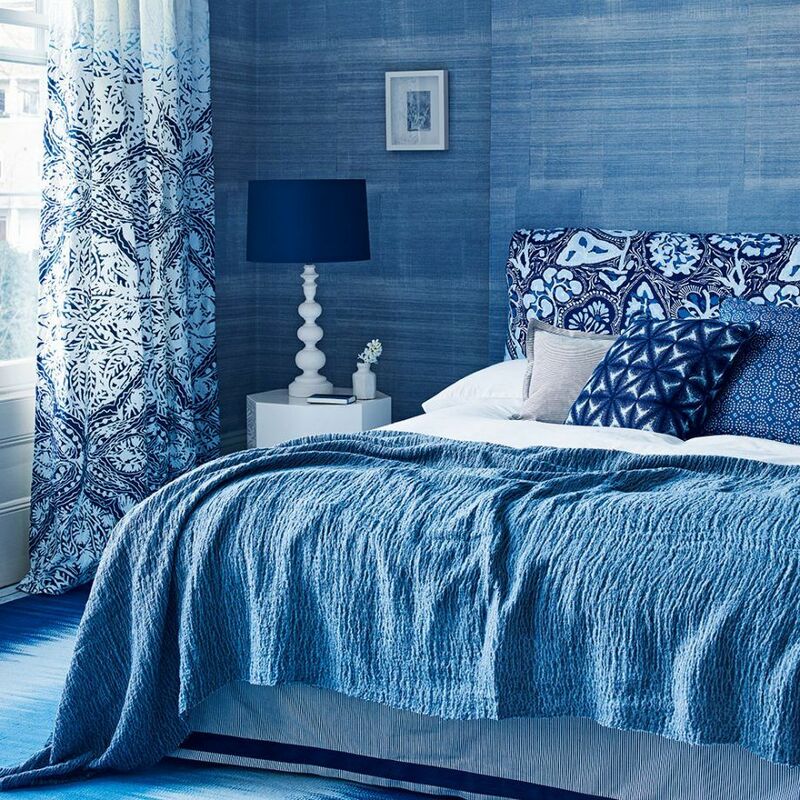 Indigo	can	be	both	calming	and	exciting and	it	works	for	all	ages,	genders	and	design	styles. The	sheer	versatility	of	this	glorious	color	offers	endless	options	for	your	own	creativity. So wait	no	more	and	raise	a	toast	to	this	moody	and	timeless	décor	hue!